The Palestinian leadership has recognized that they have got everything, what was possible to advance their anti-Israel agenda, in negotiations with Israel. Now they are trying to advance further their anti-Israel agenda through governments and spiritual leaders of Western countries, and they are successful. 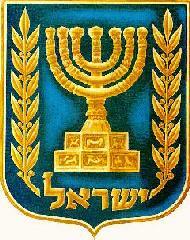 Rejection of any proposals for a temporary or partial settlement with Israel. A legal battle against Israel in the international arena aimed at constraining Israel’s ability to defend itself against Palestinian terror. Strategic cooperation with Hamas and Islamic Jihad by integrating them into the PLO’s institutions. The waging of an all-out “peaceful popular struggle” against Israel (defined by Palestinian leadership as local terror attacks). The Palestinian strategy is being successfully implemented. 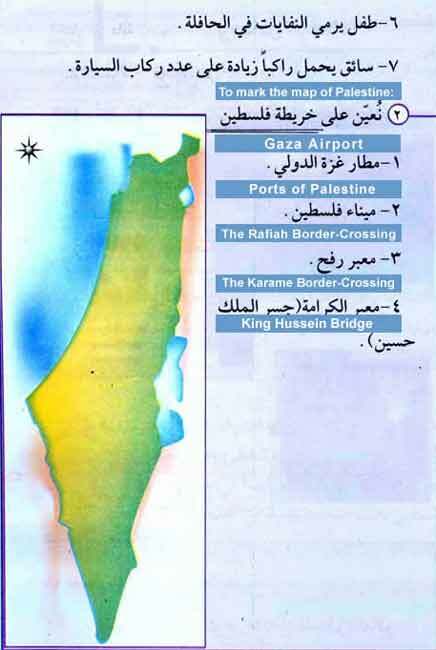 Here are just a few examples of the Palestinian unilateral advances. Vatican acknowledges Palestinian Arabs as an independent people in their independent state. International Criminal Court intends to take the Palestinians’ anti-Israel petitions as from a legitimate state. French government intends to introduce in UN its own recipe for a Palestinian state without consulting Israel and without taking into consideration Israel’s security concerns. The Palestinian influence in Europe begins to be stronger than that of Israel as the failure to establish a sisterhood relationship between Tel-Aviv and Amsterdam demonstrates. BDS movement (Boycott, Divestment, Sanctions) instigated by the Palestinians to delegitimize Israel is growing. US Supreme Court joins the pro-Palestinian forces by not recognizing Jerusalem as the Capital city of Israel. US President Barak Obama supports the promoted-by-Palestinians 1967 borders between Israel and a Palestinian state which are difficult, or even impossible, to defend, and Obama’s actions help Iran become the hegemon of the Middle East leading the others in destroying the state of Israel. UK threatens to arrest visiting Israeli politicians while welcoming Palestinian leaders. The Palestinian effort to delegitimize Israel helps to revive European anti-Semitism. Unfortunately, the Israel leadership is trying to revive a dead body of the past agreements, which are based on the two-side negotiations, instead of advancing its own unilateral security-oriented agenda. Caroline Glick predicted the failure of the two-state solution long ago – now her “prophecy” is supported by many recent political developments some of which are listed in the above. The opportunity for the Arab-Palestinians in this territory to decide for themselves whom to join politically – either to become a part of Jewish State of Israel or ask Jordan to take them. Of course, many in Israel and the “international community” will not like this proposal. However, it looks like it the way to go. (2) if the Jewish settlements in the potential territories of a future Palestinian state are built, the peace cannot be established since the settlements there are an indication of Israel’s aggressive intentions to seize more Palestinian lands. However, both assumptions are wrong and it is not too difficult to prove. To prove the wrongness of both assumptions we have to define the peace Israel and International community are trying to establish. A peace treaty between Palestinians and Israel should not only end the state of hot/cold war between them but most importantly should define the proscribed behavior of both parties that prevents the peace treaty from becoming just a cease-fire for preparing a next war. To ensure the true peace, the proscribed behavior on the part of Israelis should include the following provisions. I1. The state of Israel should not resist the establishment of the Palestinian state as an Arab state the legal foundation of which would be Muslim Koranic tradition in its non-violent interpretation. I2. The state of Israel should not deprive its Arab citizens from the same social, human and religious rights that the Jewish Israel’s citizens have, including the right to Islamic worship in mosques and communities (assuming that the Arab citizens would not violate in the public arena the Jewish Torah-based legal foundation of Israel). I3. The state of Israel should not work against international guaranties on respecting and preserving the Israel-Palestine borders which should be negotiated. To ensure the true peace, the proscribed behavior on the part of Palestinians should include the following provisions. P1. The state of Palestine should not resist the state of Israel being officially proclaimed as a Jewish state the legal foundation of which is the Torah and Jewish tradition. P2. The state of Palestine should not deprived its Jewish citizens from equal social, human and religious rights that all Arab citizens have, including the right to Jewish worship in synagogues and communities (assuming that Jewish citizens would not violate the Arab Koran-based legal foundation of Palestine). P3. Taking into consideration numerous Palestinian statements where the goal of Palestinian people was proclaimed as elimination of the Jewish state, the state of Palestine should not resist its demilitarized status to make Israel accept its demilitarized independence. The proscribed behavior of the state of Israel, which is required for the true Israel-Palestine peace, has already agreed upon by the state of Israel while the Palestinian leaders are refusing to accept their proscribed behavior. Thus, the Palestinians are not going to negotiate with the state of Israel. That means they are not willing to accept their proscribed behavior to establish their independent state. Why? The Palestinian National Charter created in 1968 and still being the guidance for Palestinian statehood provides the answer. Article 2 of the Charter says that Palestine, with the boundaries it had during the British Mandate (that is from the Jordan River to the Mediterranean Sea), is an indivisible territorial unit. That means there is no territory for the state of Israel for the Jews at any borders. Thus, the Charter forbids the Palestinian leaders to take upon themselves the obligation P1 in the proscribed behavior needed for establishing the true peace with Israel. Article 15 of the Charter says that the liberation of Palestine is a national duty and it attempts to repel the Zionist and imperialist aggression against the Arab homeland, and aims at the elimination of Zionism in Palestine. The Charter describes the real Palestinian goal of establishing the Palestinian state – not to accept the Jews as equals in Palestine but expel all of them from Palestine. Thus, the Charter forbids the Palestinian leaders to take upon themselves the obligation P2 in the proscribed behavior needed for establishing the true peace with Israel. Article 10 of the Charter says that Commando action constitutes the nucleus of the Palestinian popular liberation war that requires war escalation, comprehensiveness, as well as mobilization of all the Palestinian popular and educational efforts in the armed Palestinian revolution. Thus, the Charter forbids the Palestinian leaders to take upon themselves the obligation P3 in the proscribed behavior, which is to be demilitarized, needed for establishing the true peace with Israel. 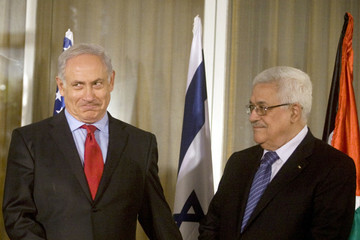 If the Palestinian National Charter forbids the Palestinians from taking upon themselves the obligations needed for the true peace, the only avenue to reach the true peace is for the International community to force the Palestinian leaders to change their Charter and include in it the proscribed behavior needed for the true peace. (2) the Palestinians agree to treat the settlement’s Jews as equal citizens of the Palestinian state (as a response to Israel’s acceptance of Israeli Arabs as equal citizens). Prime-Minister of Israel Netanyahu is accused for changing his mind – before he was against the two-state solution, now he is for this solution. Those accusations are groundless – Netanyahu is interested not in “a solution” – he is interested in the true security of Israel. He may accept any solution if it brings the true security for the state of Israel and its citizens. So the question we should be asking is “can the two-state solution bring the true security for Israel”. The true security has two major components. One of them is physical security that is the living in peace with the neighbors. The other one is spiritual security, and the spiritual security for many Jews is to live and worship peacefully in all places of the Promised Land even if parts of the Promised Land are governed by a non-Jewish authority. So the answer to the question “can the two-state solution bring the true security for Israel” is – may be if the Palestinians, the Arabs and the so-called international community reverse their approach on the Jewish settlements in the territories of a Palestinian part of the two-state solution.